The stamp illustrates an outline of Guyana’s map with “Collect Stamps” across it, symbolizing Guyana Philatelic Society (GPS) mission to encourage stamp collecting throughout Guyana. The $80.00 face value is the local postage rate for a letter up to 20 grams. The event was held on June 10, 2015 at Georgetown Post Office. The stamp was printed by IGPC and was customized by GPOC. Just 1,750 of this limited edition stamp was printed and is available for sale only at Guyana post offices. 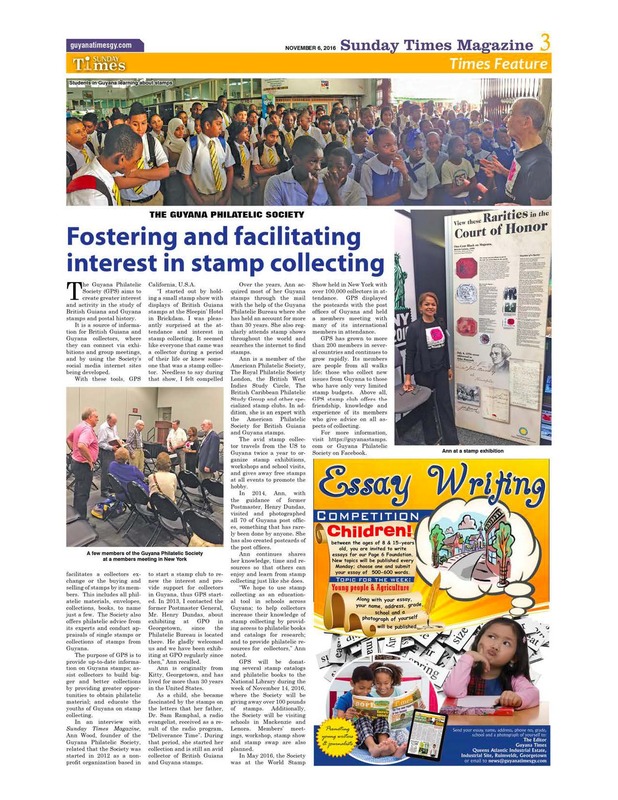 GPS, a non-profit organization that promotes stamp collecting in Guyana, is honored by this event and the support of GPOC Postmistress General Karen Brown and staff.